The same is true for athletic endeavors. Marathon runners train in order to be able to run a marathon with as much ease as possible, and for some, to rank among the first across the finish line. Climbers like Alex Honnold of Free Solo fame, practice handholds, footholds, stamina, balance, weight distribution and much more in order to scale vertical landscapes and not die trying. If you spend any time on Instagram, you might think that yoga practitioners practice in order to be able to perform gravity-defying feats of flexibility. You rarely see foundational poses—standing poses, seated poses, twists or simple backbends—in Instagram asana photos. Since much of our lives are lived online in these times, it’s easy to look at these photos and think that the culmination of our practice is the ability to perform “advanced” poses. What if we understood our practice, in the moment, to be the goal? What if we let go of our expectations for what we should gain from practice? Could we then value awareness of our immediate sense experiences, as they are happening, as the actual point of our practice? The first verse in the Yoga Sutras of Patanjali says, “Now the teaching on yoga begins.” You could interpret this as simply a conceptual doorway into the text. (I interpreted it this way for many years.) Or you could understand it as an instruction: the teaching yoga begins now, in each moment of practice. How do we shift our intention from our goal-oriented conditioning to practicing for the sake of practice? It’s not easy. Most of us are conditioned to believe that whatever we practice has to lead somewhere else, and that there’s something better, off in the future, that we’re practicing for. This conditioning is not easy to unravel, because it is the foundation of almost everything we do in our lives. But it is possible to unhook ourselves from this conditioning, and the way to shift our understanding is simply to practice. For example, when you are practicing an asana, collect your attention inside your body. There’s actually a whole lot to observe, even in a simple pose. You can tune into the sensations of contact between your body and the floor. You can be aware of the wave of your inhalations and exhalations, and how they move your body. You can feel the sensations of stretching or contraction. You can note where you might be creating unnecessary effort or tension and choose whether to let it go. Finally, you can shift your overarching intention from practicing in order to achieve something to simply relaxing into where you are. This is where the yoga is. It is not somewhere off in the future, or in the case of longtime practitioners, some time in the past when we could perform “advanced” poses. It is right here, in this moment of this very pose, no matter what it looks like. The yoga is in the arising and passing of all the sensations we experience in each moment. The teaching of yoga begins and ends right now. The practice is the performance. 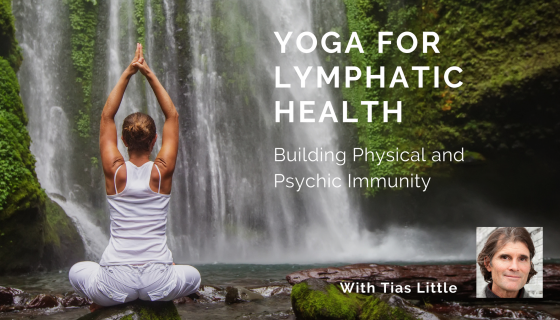 Study lymphatic health with Tias Little and YogaUOnline - Yoga for Lymphatic Health: Building Physical and Psychic Immunity. A Yoga Pose Primer from Charlotte Bell - Yoga Pose Primer: 7 Steps for Practicing Baddha Konasana. Charlotte Bell began practicing yoga in 1982 and began teaching in 1986. She was certified by B.K.S. Iyengar in 1989 following a trip to Pune. In 1986, she began practicing Insight Meditation with her mentors Pujari and Abhilasha Keays. Her asana classes blend mindfulness with physical movement. Charlotte writes a column for Catalyst Magazine and serves as editor for Yoga U Online. 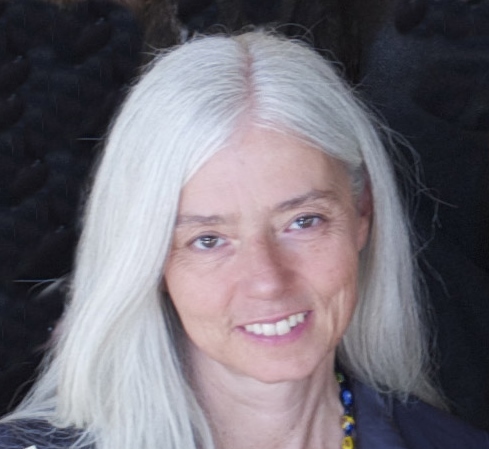 She is the author of two books: Mindful Yoga, Mindful Life, and Yoga for Meditators, both published by Rodmell Press. She also edits Hugger Mugger Yoga Products¹ blog and is a founding board member for GreenTREE Yoga, a non-profit that brings yoga to underserved populations. A lifelong musician, she plays oboe and English horn in the Salt Lake Symphony and the folk sextet Red Rock Rondo whose 2010 PBS music special won two Emmys.